At 11:39pm Monday night, City of Hudson Firefighters were dispatched to a report of a working structure fire at 18 Worth Avenue in the City. The 911 caller indicated the occupants of the residence may still be inside. While units were enroute, a 2nd call was received from the occupants directly, reporting they were unable to exit the 2nd floor apartment due to heavy smoke and fire. Car 3, 2nd Assistant Chief Shawn Hoffman, arrived on scene shortly thereafter and confirmed a working structure fire. Car 1, Chief James Schermerhorn, arrived on scene and assumed command. Mutual Aid was immediately requested from Greenport (with their F.A.S.T. team) and Catskill with an engine. Engine 30, the first due engine, went to work immediately removing the occupants from the 2nd floor. A ladder was thrown to a 2nd floor window and with the help of Firefighters Jason Detzel and Connor O'Neill, the occupants were led to safety. Simultaneously, hand lines were stretched from Engine 30 and Engine 28 and visible fire was knocked down.. Crews from Tower32 and Engine/Rescue 279 assisted with fire attack and overhaul. The fire was contained to the porch area of the building. 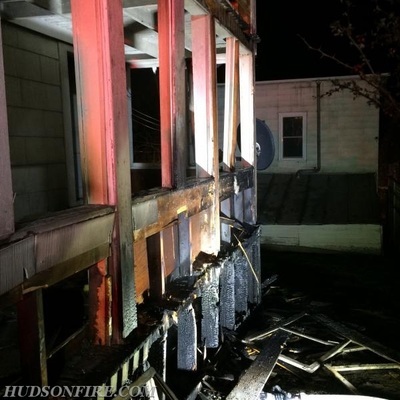 The Fire Department was assisted on scene by the City of Hudson Police Department, Greenport Rescue Squad, the Columbia County Fire Coordinators Office, and Mayor Tiffany Hamilton. 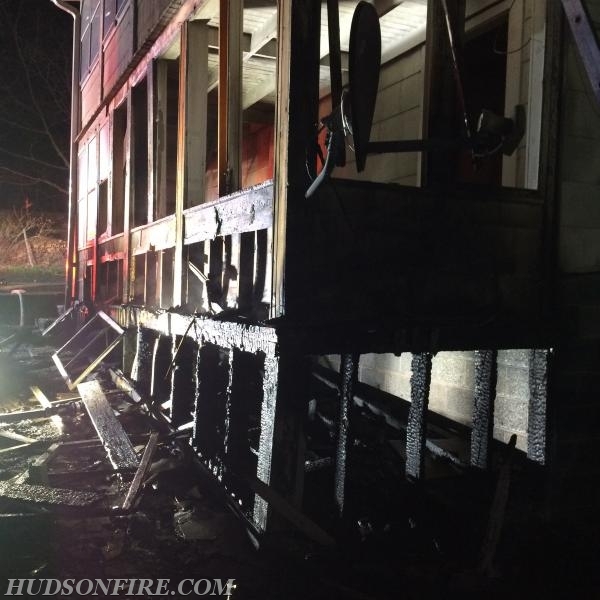 The fire is currently under investigation by the City of Hudson Police Department Fire Investigations Unit. The cause has not been determined as of this writing.